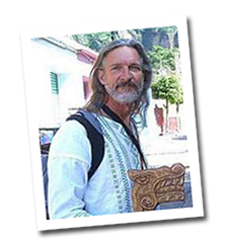 Daniel Brower leads our trips in Argentina and South America. He is also the founder of the Sacred Clown Society. For the past several years he has studied and given workshops on the teachings of the Essenes. He loves music and works mostly with the power of sound, using sound to heal ourselves and our planet. He knows how to mix good times, lightness and laughter with profound spiritual experienes. He’s a lot of fun, as a group leader and as a friend. Daniel has been traveling to Argentina for the many years and has decided to make it his home. Now that he is living there he is excited about sharing the amazing culture and places of this magical land with his friends and others, so that you might also experience a land that few others ever have.